Home Life Friday, June 17th: PowerPoint Karaoke with Double-Blind Improv! 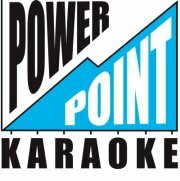 On Friday, June 17th, PowerPoint Karaoke will be back again at Fantasy Flight Games! This time, our opener will be Double-Blind Improv, a show where you never know what will happen, because we don’t know, either! What it is: Four improv comedians must each give a PowerPoint presentation with slides they have never seen before. I’ll be slinging the slides! Wednesday, November 9th: PowerPoint Karaoke at FFG!